Right now, parents on Facebook are having intense discussions about Santa photos. Some put a lot of planning into it, asking around to find the best Santa with the best backdrop. They book ahead for the most popular ones, or are prepared to wait in long queues. I always wonder – are they doing it for their kids, or for themselves? Because around this time of year, every year, I see those Santa photos. You know the ones – where the kids clearly don’t want to be anywhere near that jolly bearded guy in a red suit. Sometimes they’re babies who have their faces screwed up, wailing at being temporarily separated from their parents. Sometimes they’re toddlers who have alarmed looks as they stare up at the strange man who’s holding them. Who is this guy? A lot of parents find these photos hilarious. They always make me feel a bit uncomfortable. Sure, it’s only once a year. But should we really be shoving our children in a stranger’s lap and telling them to sit there and smile, if they clearly don’t want to be there? Popular parenting expert and dad-of-six Dr Justin Coulson has a pretty firm opinion. Dr Coulson says he doesn’t have a problem with parents putting their kids on Santa’s lap for a photo if the child feels good about it. “But if the child is non-consenting, then the parent’s just being a bully,” he adds. “Parents have got to stop bullying their children. It’s using their power to force their child into an uncomfortable situation that just makes them feel awful. There are two types of Christmas people. Which one are you? 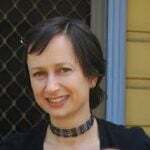 Dr Kimberley O’Brien, the principal child psychologist at The Quirky Kid Clinic, agrees. She thinks parents should be putting the child first. “If they don’t feel comfortable, then don’t push through,” she tells Mamamia. Dr O’Brien says it’s quite normal for a two-year-old to be wary of a stranger, because that’s the age when separation anxiety is at its worst. She believes that if children say they don’t want to sit in Santa’s lap, parents should praise them. She says the Santa photo is “going against all those stranger danger messages”. “It is quite up close and personal, isn’t it? There are other ways to get that photo that are less likely to make children feel uncomfortable. Dr O’Brien says it’s very different if the Santa is someone that the kids already know. Dr Coulson says another way to do it is to get the whole family in the photo. He has another question for parents who are focused on getting that photo with Santa. 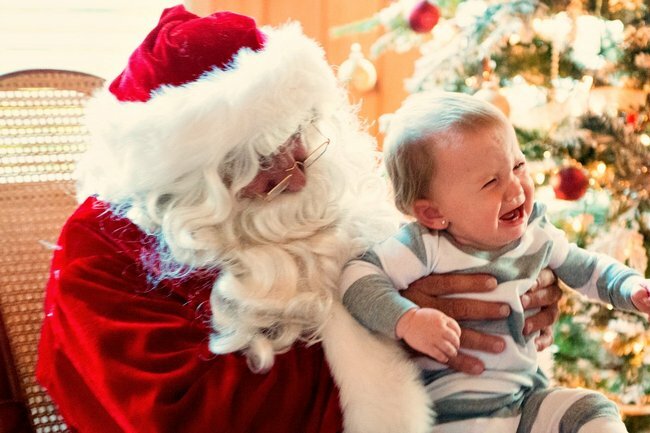 What do you think of taking Santa photos with your kids? Tell us in a comment below.